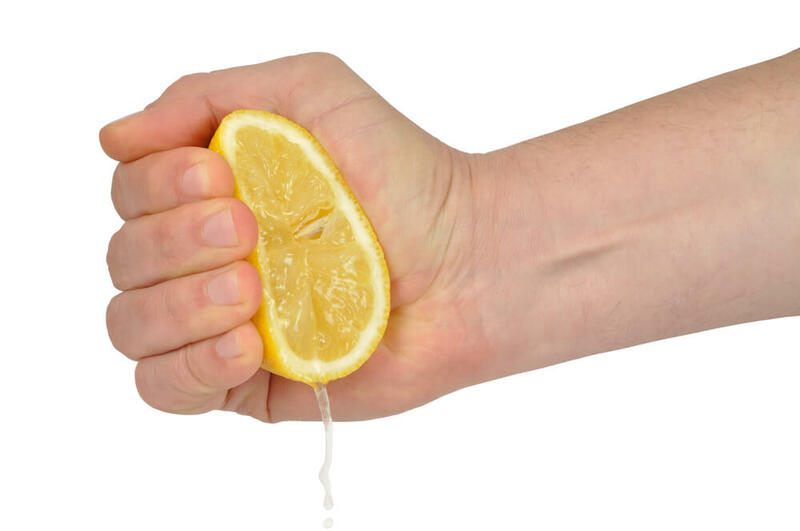 InsuranceFundi | Is it time for you to squeeze your insurance company? Is it time for you to squeeze your insurance company? It contains my monthly mortgage statement. Eagerly I open it to check the outstanding balance hoping to see the balance drop. Instead, to my dismay, it’s gone up by R8,735. I hate debt as much as the next person. Because of this, I’m putting effort into paying off my bond. Money which could be used for other luxuries goes towards the bond. That’s why I’m expecting the balance to drop, not go up! Can they give me a discount because I haven’t claimed in ages and even then it was for nothing more than a geyser. This one has the policy schedule and a property valuation form attached. After doing the calculations (which involved having my gardener measure out the size of buildings, paving, and boundary walls), I get to a figure somewhere in their ballpark, maybe R30,000 less. Now I don’t agree with their cost per square metre by the way, but I also don’t want them to laugh at me either. First thing I do is phone my car and home insurance company for a comparative quote. Turns out that they would charge a fine client like me R350 a month instead of the R727 a month my bank is charging. While I’m having the chat I decide to push my luck and ask for a discount on the rest of my policy. What you don’t know is that I had a R30,000 claim in the past year, and I wasn’t expecting any sort of discount. The agent runs through my policy section for section adjusting the values and finally gives me a R400 discount. Add to that the R377 a month I’d be saving on my home insurance and can you see where I’m going with this? Now remember, I already know how much I can get the home owner’s insurance for. But I’m still willing to give my bank a gap. After all, I’ve never had a hassle with them in the past. I ask for a discount, and after some humming and hawing, I’m offered a R100 a month discount…a R100 a month! I then ask a second question relating to whether the amount being added to my bond is included when it comes to charging interest. The agent says yes, and after studying my statement, it seems as if what they said is correct. That means my actual cost is not the R727 a month I thought it was. In the good old days you used to get what’s called a ‘no claims bonus’. You don’t claim during the past year and they apply a 1 year no claim discount on this years cost. So you might start off with a 3 year no claims bonus and work your way up to a 6 year no claim bonus. This should mean your insurance is getting cheaper every year if you don’t claim but the reality is that it doesn’t. Then some smart people invented the cashback bonus. No claims during the past 4 years and you get a lumpsum paid back into your account. Problem with this system is that if you claim during this time, you lose your entire bonus. At least with the other system all you lose is 1 of the years, or so they say. Either they give you a discount or you’re going elsewhere, right? Go and get yourself a comparative quotation from a reputable insurance company. We’d like to think that everyone’s reputable, but some might not be, so be careful. For instance, they might ask how much you’re paying currently, and then do everything in their power to beat your current cost. Problem with this is they might hike your cost in 6 months’ time or just after you submit your first claim. And ask for a discount! If they’re a reputable company, they should offer you some form of discount. After all, it’s far easier to keep an existing client than find a brand new one you don’t know from Tom. Remember it’s a two-way relationship and often the insurer is glad to see the last of you. Why didn’t they offer me that discount years ago? Why did it have to boil down to a threat? Insurance, and especially car and home insurance, is all about relationship. Give and take just like a marriage – if the one partner is always giving and the other always taking, then divorce is on the cards. Ask yourself: Who’s been doing most of the giving and most of the taking? If you’re the giver, it’s time to make that call.